The Witch has become a horror-film phenomenon in its own right, but its audience's critique is nuanced. Many viewers criticize the film for not being a true horror film, lacking a fear factor, and developing too slowly. Now they may have a point in the fact that it is slow. The Witch differs from other horror films in the fact that it takes time to build itself up. Its plot is also extremely subtle and strays away from jump scares, building itself around the slightly obscure and definitively creepy theme of witchcraft. Witches rarely serve as creatures to be feared. In fact, they're a very cool element in popular culture-- a personal favorite of mine is Sabrina the Teenage Witch. 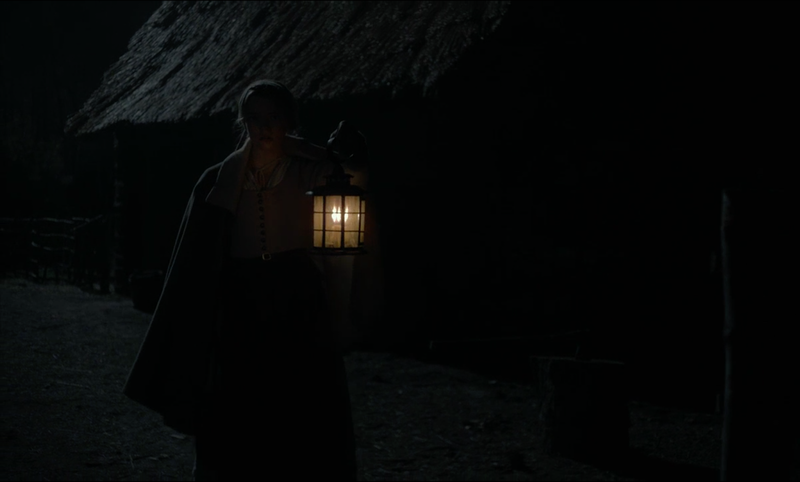 The Witch, however, returns to a darker and more sinister time in 1630's New England. The era is characterized by religion, which ruled all aspects of Pilgrims' lives. The existence of damnation, hell, devils, and witches was simply commonly accepted, and so they were fittingly feared. The Witch's audience also knows early on that the central family in the film believes in these things fervently and understands that their fear of God's wrath permeates every aspect of their lives. At the start of the film, the family is condoned to live outside of the colony for unknown reasons. From there on, it gets truly interesting. After the family is driven into isolation, they find a place to settle themselves and start a farm far away from any other people. Of course, since it is a horror film, things quickly start going bump in the night. How could it not? Things build to extremes as crop after crop fails and everything is bleaker than ever before for the family. Then, the baby disappears without a trace after an innocent game of peekaboo. From that point forward, everything is blamed on a witch who is supposedly living in the woods. At first, the witch's influence seems entirely external. However, as the family's misfortune and religious paranoia mounts, they quickly begin turning against each other. It is the eldest daughter, Thomasin, who takes the blame for the baby's disappearance, causing her family to assume her to be the witch of the woods. It’s this aspect of the film that resembles Arthur Miller’s The Crucible. Paranoia and hysteria dictate everyone's actions, and the most gruesome, morally objectionable acts are justified in the name of religion. In a contemporary sense, there were only a few things more unfortunate than being a woman-- especially a young, attractive woman. Thomasin is a bright, lively young woman. She lights up her surroundings and seems to almost clash with the cold, gray, and seemingly medieval background. Physically, the only illumination tends to come from the occasional candle. She is growing up to be an attractive young woman, and this hasn’t escaped anyone’s attention. Her mother makes a remark about her just having her first period. Her brother throws a glance towards her bosom, and her parents start musing about selling her off to a man. She is property. Thomasin initially comes across as something with no will of her own in the film. In the courtroom, we see her debate staying behind until someone pulls her sleeve, and she is carried along by the cart. In the family though, her father seems to be the one that loves her the most. He is the most reluctant to see his daughter as a witch. It is only as circumstances turn drier and the rest of the family becomes even more convinced of the fact that Thomasin is to blame that he begins to shift his view. They soon begin to perceive her blossoming womanhood as a threat. In reality, however, she’s only being a normal teenage girl. She’s at first the epitome of what a girl her age is supposed to be: subservient and obedient. Thomasin loves her family and has no problem carrying out her daily chores. It is only occasionally that we see flashes of jealousy in her character when she watches her younger siblings play outside; she would like to be there with them and possess that same kind of freedom. But she still carries out every task that is asked of her. It is only when she is falsely accused and ultimately abused by her own family that she becomes indignant. Then, she decides to make the best of her reputation and ultimately use it as her road to freedom. 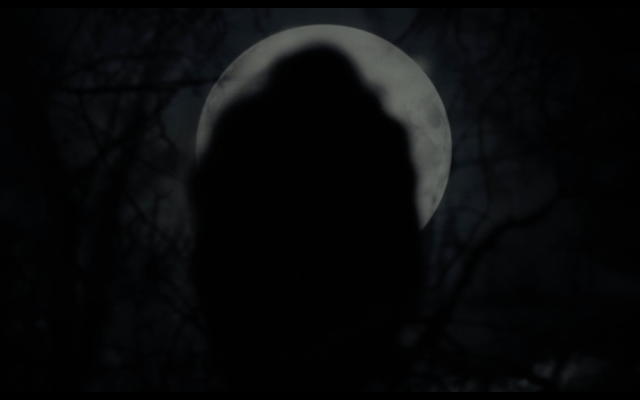 The witch, as a mythical creature, has often been referred to as the misogynist's ultimate nightmare and has also been heralded the ultimate feminist icon. A witch, free of its physically repulsive image, is generally a charismatic, confident, sexually liberal woman. It is these attributes that the Pilgrims found so frightening in women. 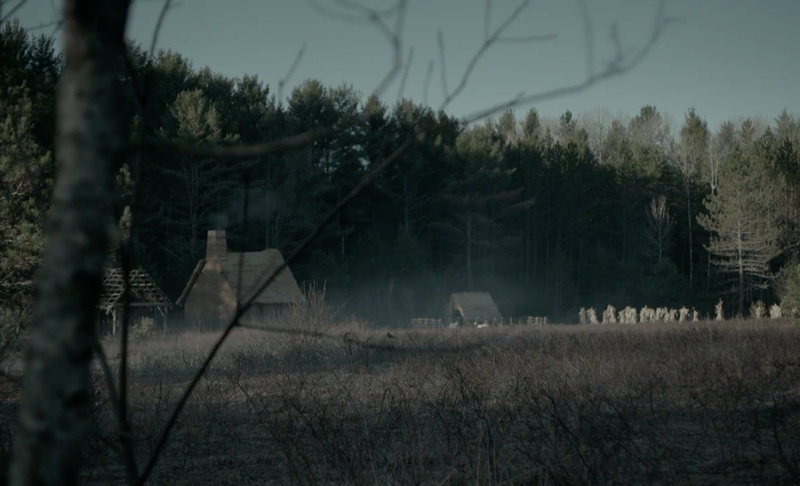 What works especially well in The Witch (and what makes it so frightening) is not only how close it stays to the time period, but its historical accuracy. Robert Eggers, the film's writer and director, is said to have researched for four years before penning the film down. All dialogue in the film is taken from records of the time and is thus fittingly old-fashioned. One would think old English would be a nuisance but it helps build an impeccable period film atmosphere. All the supernatural elements in the film also stem from contemporary folk legends. The film is entirely aligned with the folkloric belief of witches (they shift into animals, dance naked with the devil, etc.). It’s perhaps a little sad and regrettable that cinema doesn’t work more often with folklore since it offers a truly unique and introspective look into the human psyche. The reason that I love The Witch-- and why it's become a go-to whenever the weather's dreary-- is that it steps away from conventional genres. Moreover, it offers a horror film that is haunting and terrifying without resigning to jump scares. Rather, it focuses on the characters' psychology in a very effective fashion. 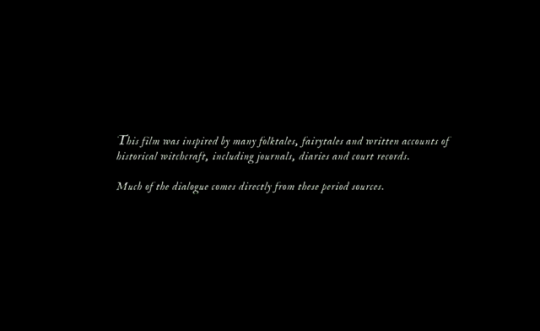 The film doesn’t take the modern route with witches, either. They’re not sympathetic creatures; they’re simply evil women. Just like it was believed in old times, they're the mistresses of the devil who exchanged their souls for magical powers. But of course, in order to live deliciously, these women are expected to serve the devil and must therefore commit unspeakable acts in order to uphold their beauty. It’s safe to say that you wouldn’t want to come across one of these ladies in the woods. This is how we used to think of witches, prior to the Salem and European witch trials. During these cases, innocent women were burned at the stake and drowned. Entire villages took pleasure in watching individuals suffer and die before their very eyes. While it’s unlikely that any of these women were actually witches or had any sort of supernatural abilities, the trials show the darkest side of human beings. They were a twisted and perverted disgrace of society and the law, a hate crime against certain individuals. When things start going wrong, it is of course blamed on the witch, who is later thought to be Thomasin. It is truly shocking how far the torment of the characters goes in The Witch. It makes the film very often uneasy and positively painful to watch and process. But here’s the twist: the painful and truly frightening moments don’t come from anything supernatural. Instead, they are derived from seeing what hysteria and paranoia can force people to do to other people. As I mentioned prior, we know that witches and the devil are indeed real in this film. In fact, the devil is in the family, disguised as an extremely violent black goat, Black Phillip. The goat seems to feed on despair, yet the children love him and are constantly playing and whispering with him. It is because of the goat that Thomasin’s entire family is murdered, and it is at this point that the film begins to go in a direction that is both dangerous and satanical. Thomasin is the virginal final girl who managed to survive the slaughter of her family. It is usually at this point that we see the young woman in the hospital or talking to the police and then driving home in a somewhat triumphant yet traumatized state. Things are completely different in The Witch. In this case, Thomasin has very few options. She can’t go back to the settlers, seeing as she'd undoubtedly be accused of being a witch and therefore be drowned or burned alive. She could stay on the farm on her own, but she would starve due to a lack of knowledge in regards to hunting. She could let the devil murder her, too. Finally, she has the gruesome option of surviving through joining the devil and selling him her body and soul in exchange for magical powers. When we see Thomasin talking to a goat, we realize that this is precisely what she’s going to do. The devil makes her a couple of irresistible offers and since she has nothing but freedom and her life to lose, she accepts. It’s not the first time that evil wins, but usually, we are deeply saddened and shocked that it went that way. You’re not supposed to take comfort in the ending or even be happy for the protagonist since they’ve given in and lost. This is where the director takes a different and slightly dangerous route. We can be happy for Thomasin because she has found her freedom and liberation in the act of selling her soul to the devil. Though her liberation appears to be a happy one, it possesses a bittersweet aftertaste regardless. She never intentionally harmed anyone, and there is nothing wrong with having a desire to survive. Thomasin already lacked a semblance of a life; she was overloaded with chores, her family hated her, and she would very likely have died at their hands. But aside from the fact that she’s lost her soul, it doesn’t matter that she is free. She has magical powers, individual liberty, freedom of her own mind and body, and complete sexual freedom. So she’s evil, and her beauty will come with a price, but since she’ll have no soul, she won’t know she’s being evil. In fact, she’ll derive pleasure from it, and within that, she’ll be freer than ever before. As she’s hovering in the sky and smiling in ecstasy we can be happy for her, because we know she will live deliciously. The film is suspenseful and frightening because of its oppressive and highly claustrophobic atmosphere. As you observe these characters that are locked in their beliefs and superstitions, you feel as though you’re enclosed with them through the cinematography. Eggers uses a somewhat aged 1.66 image format, which is, therefore, narrower than the standard 1.85 or 2.35. This closer framework creates a subtle sense of closeness and emphasizes the vertical dimensions of the image (how high the trees are, how small the rooms in the house are, etc.) rather than the horizontal ones. It rarely offers us a panoramical view, leaving us confined in a singular space. So we’re constantly in the movie with the cast, forced to observe them. As the tension rises, there is nowhere else to look; there is no moment of relaxation or release, and you are not allowed to come up for a breath in between. You know horrible things are going to happen and that they are going to happen right in your face. It is this knowledge that is so brutal and harrowing; your body and mind are on edge with horrible expectations.